Scalp Micropigmentation (or Tricopigmentation) is a specialty application that is specifically designed to provide a natural hair simulation-solution for men and women. Tricopigmentation (Scalp Micro-Pigmentation) is one of the most innovative and effective solutions available today for hair loss that does not involve surgery or potions of any kind. A lot of people today are very concerned about projecting the right image, whether it’s about having a good body weight or just looking radiant and healthy. 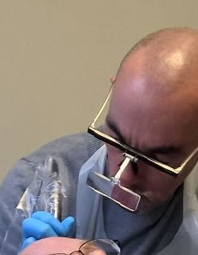 This is now possible using the Tricopigmentation/Scalp-Micropigmentation technique. Tricopigmentation, also known as Scalp Micro-Pigmentation, is the implantation of thousands of tiny micro-dots by way of a specialist type of tattoo needle, but unlike tattoos, these dots do not go as deep therefore avoiding the blueing effect of aged tattoos. These dots are created using specifically formulated pigments and are skilfully implanted into the scalp in a very detailed patterned sequence. The dots mimic a shaved stubble effect on the scalp and completely cover the balding area. Even though most balding men today try to cover up their hair loss by shaving the hair at the sides and back of head to minimise the contrast between the remaining hair and the bald area, you can still see that they are bald, especially when the remaining hair grows back, whereas with tricopigmentation/ scalp-micropigmentation it looks like a full head of hair all the time. As well as the shaved effect look, micropigmentation works on alopecia patches and those with thinning hair. For thinning hair a density effect technique is applied. This involves micro-dots being implanted on the scalp between the hairs. It is also works well for scars on the head from trauma or the scars from past hair transplants. See the rest of website for before and after photos and more detailed information, plus what makes us different from other competitors out there offering similar treatments. This treatment is now available for the first time in Northern Ireland & ROI with clinics in both Belfast and Buncrana (Co Donegal), people no longer have to travel abroad to get this treatment. Complete confidentiality, professionalism and privacy are guaranteed. All our technicians are highly trained by world experts in this field. 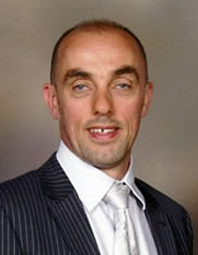 Mr Kim McMenamin is based in Ireland and comes from the alternative health industry. He is a qualified acupuncturist and health researcher and has written hundreds of articles based on a varied range of disorders and diseases. It was research into hair loss in particular that led him to discover solutions for male pattern baldness. Although acupuncture works well on disorders like alopecia, it cannot treat the natural loss of hair that has become known as male pattern baldness. Kim completed his training in the UK under world-renowned expert Debbie Clifford. Debbie herself trained in Italy with the ‘Beauty Medical’ company. It was Beauty Medical that developed the specialist machines and pigments for this new and advanced form of Scalp-Micropigmentation.